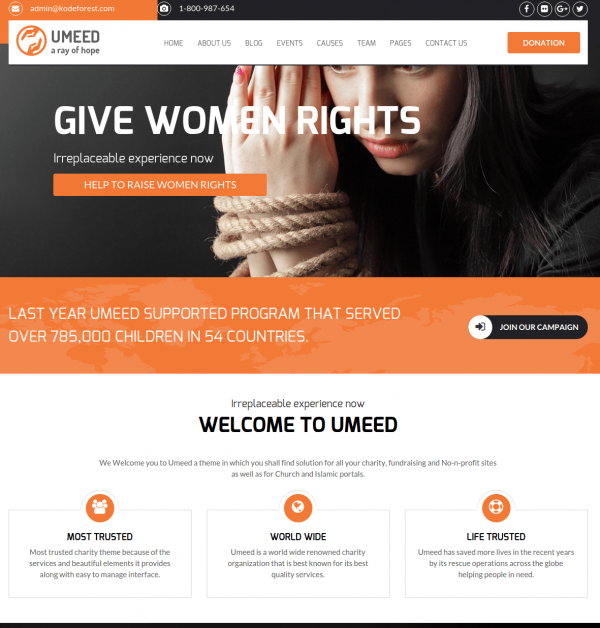 Umeed is a modern creative WordPress theme for non profit organizations and charity websites. This theme is a very well documented theme which will guide you building website with it easily even if you are a newbie in website development. 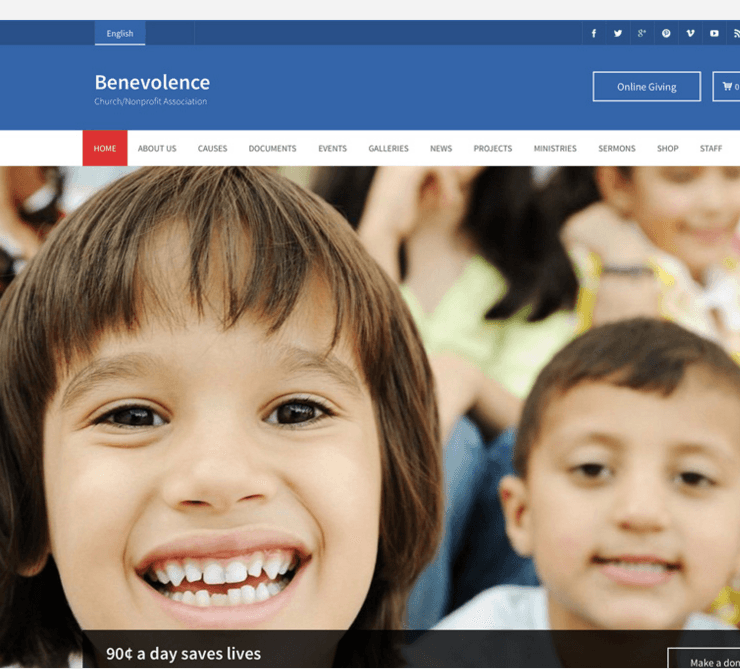 This theme is responsive enough to adapt different screen sizes ranging from desktops, laptops, tablets to mobile phones including iPhones as it is retina ready as well. 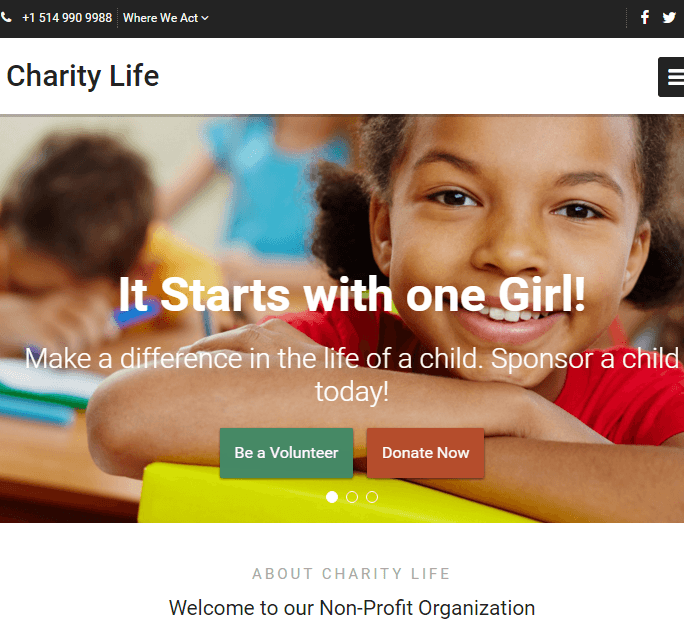 As the theme is charity based theme it should have a payment gateway that will let you accept donations online. 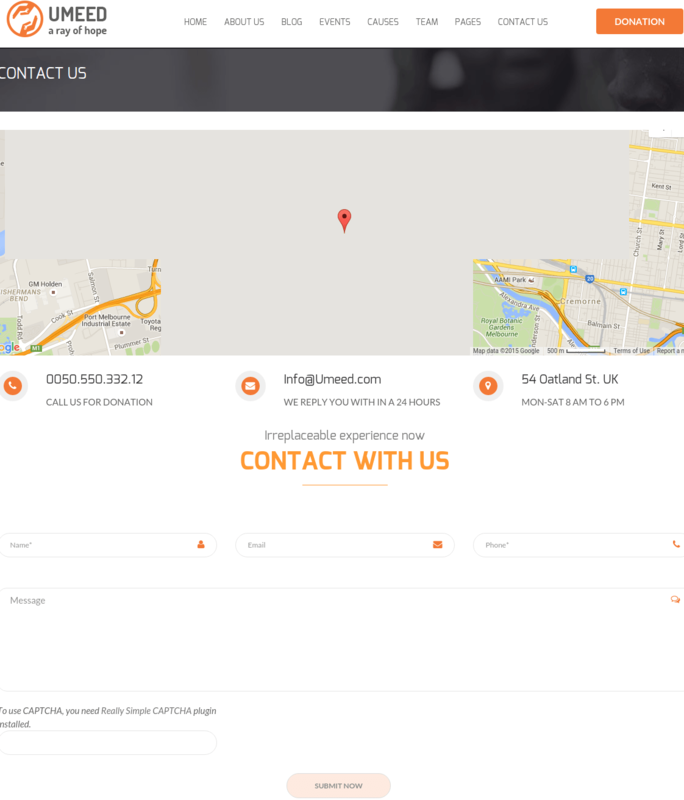 This is done by the WooCommerce plugin compatibility of this theme. This plugin is responsible for establishing a secured payment gateway. Another important feature of this theme is that it comes packed with a powerful page builder called Visual Composer plugin (worth $34) for free, that has a drag and drop interface to build any page layout with provided elements/modules. Some of the elements are ext Block, Message Box, Facebook Like, Google+, Pinterest, Tweetmeme, FAQ, Single Image, Image Gallery, Tabs, Accordion, etc. Included with Revolution slider(worth $17) for free. 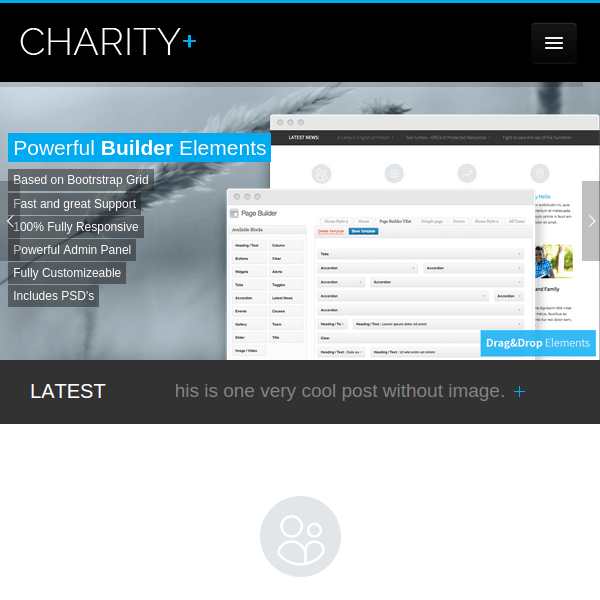 Compatible with popular plugins like BuddyPress, bbPress, Ecwid and WPML. These plugin compatibilities lets you build a social networking page then a discussion forum as well. WPML compatibility makes this theme translation ready. 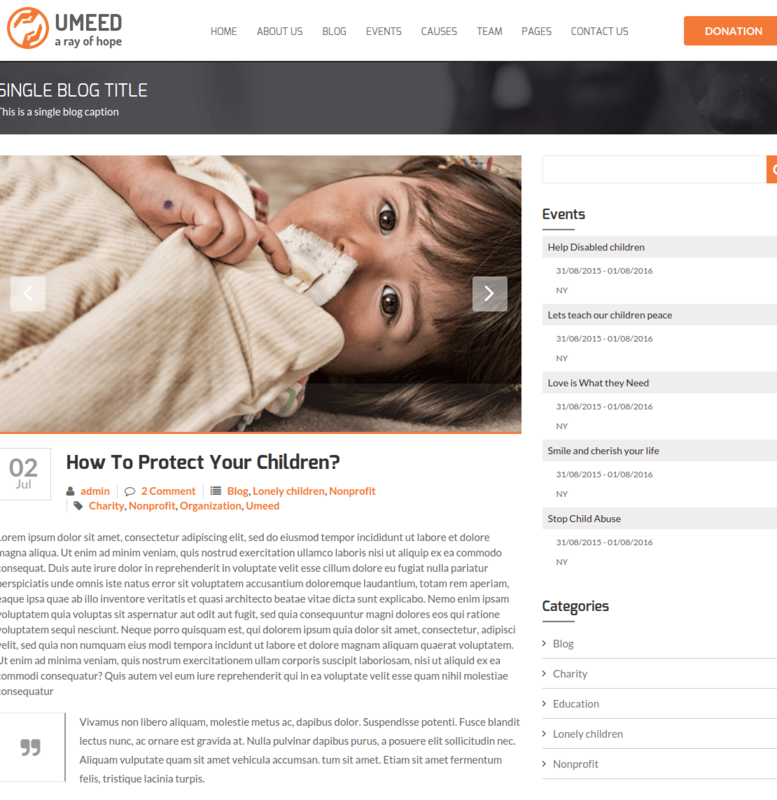 This theme gives multiple home page layouts, header styles, multiple blog styles, event manager, etc.